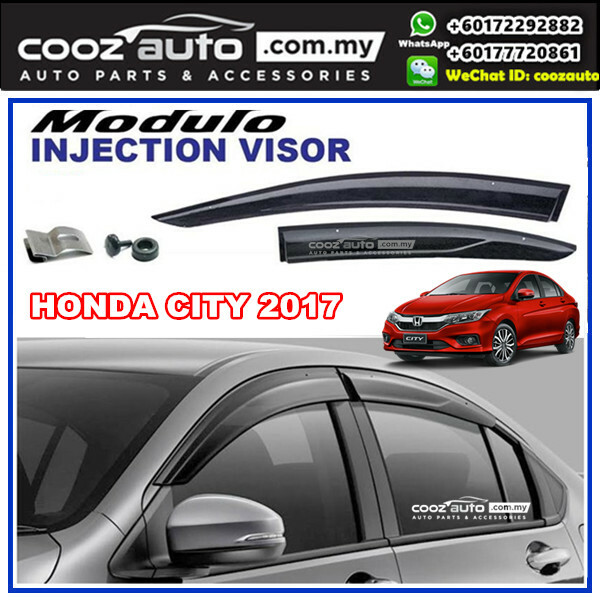 The door visor is designed as Modulo Look and made from durable acrylic with imported adhesive tape. It is designed to provide a stylish, OE-installed look that keeps rain out and lets fresh air in. This allows the air to circulate, removing stale odors, reducing mirror fogging and gets better and clearer vision while driving during raining day. Main advantages of Acrylic Plastic are durability, fitting & shining. 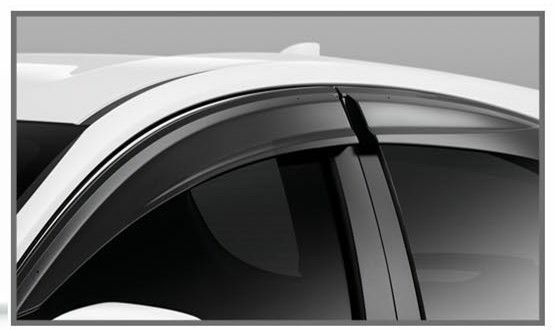 The customized design easily mounts to the outside of your vehicle using pre-applied 3M adhesive mounting tape. Its quick no-drill installation creates a perfectly snug and secure fit. 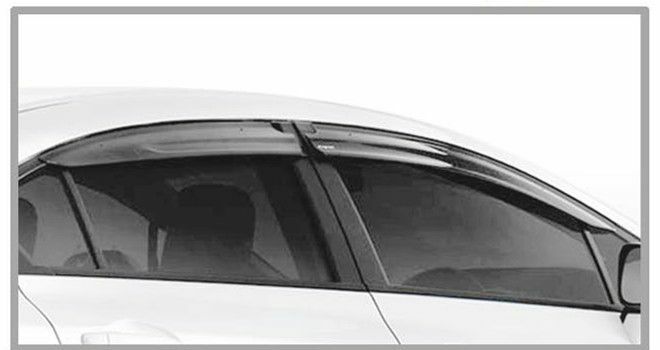 The door visor is light weight and comes in a set of 2pcs for front and 2pcs for rear. A set of 2pcs for front + 2pcs for rear.